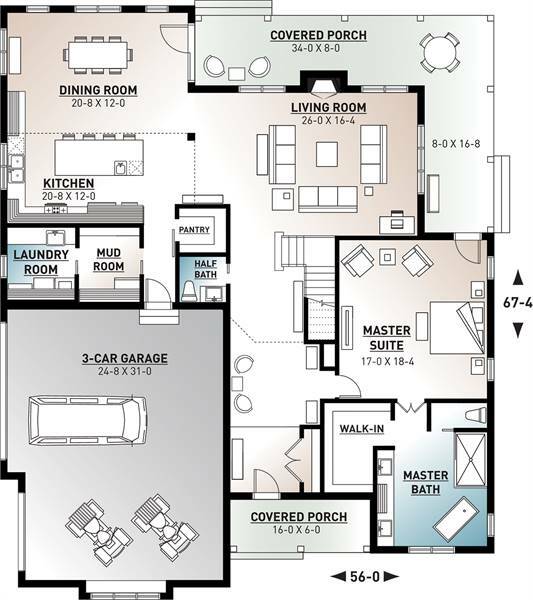 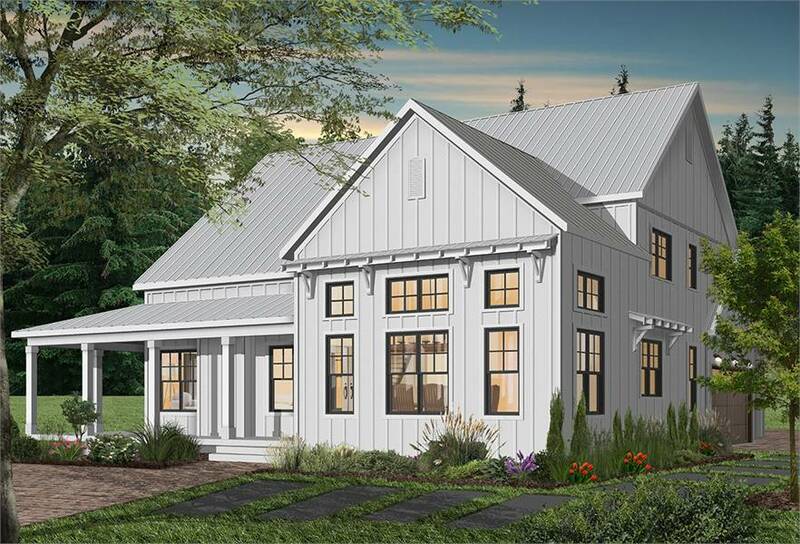 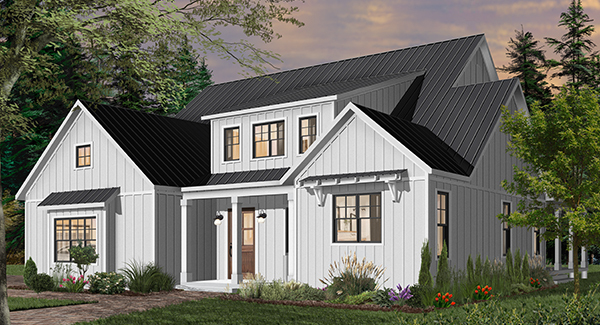 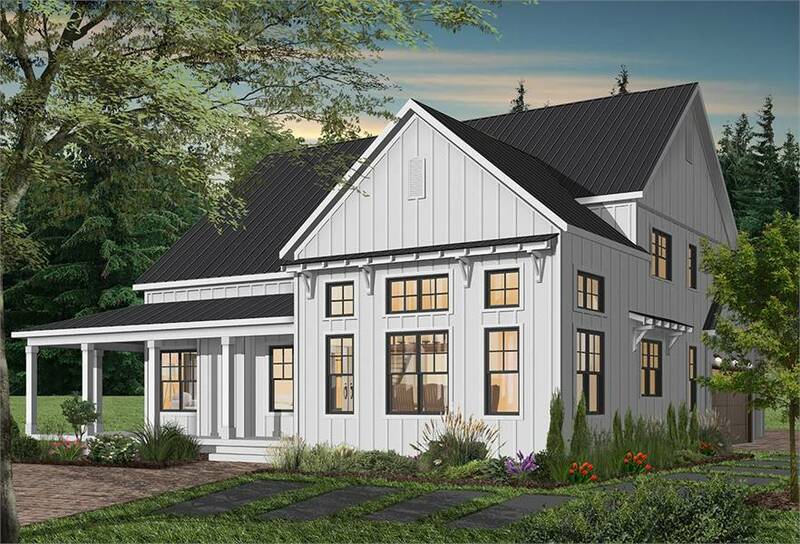 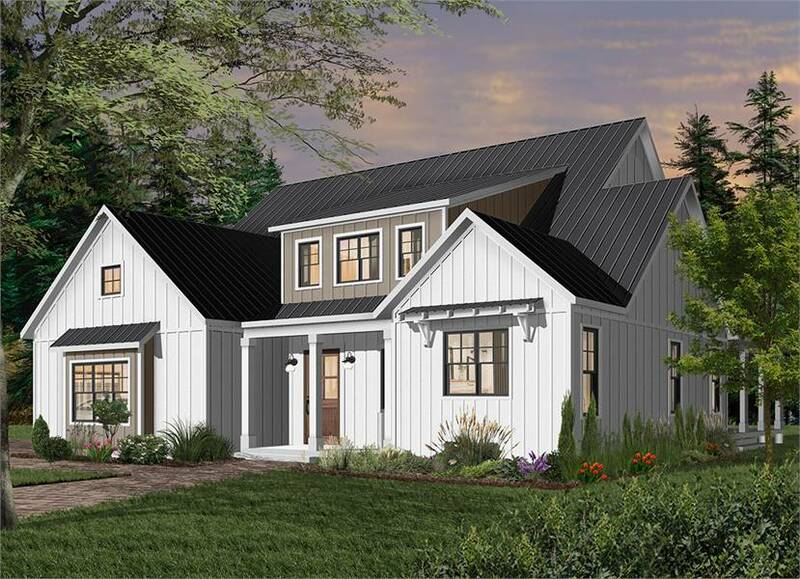 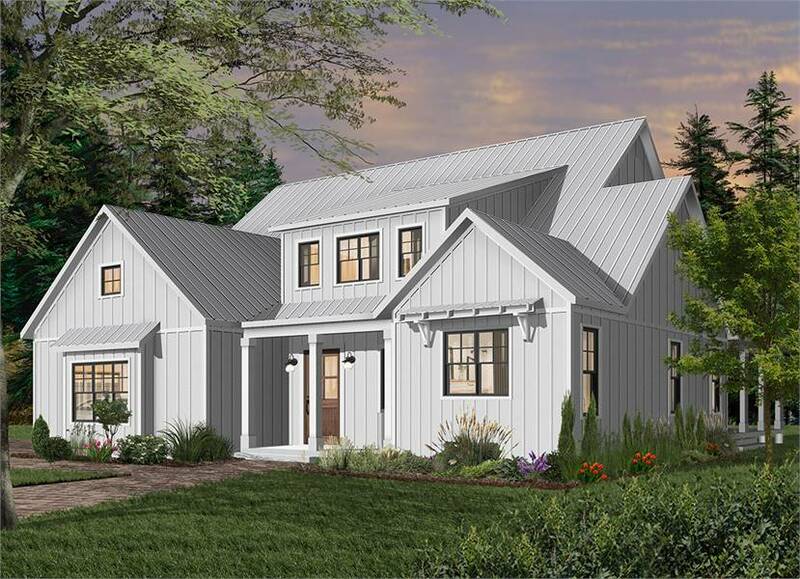 PLAN DESCRIPTION This two-story charming 4 bedroom farmhouse design features 3,353 square foot with the master on the main floor and L-shaped corner kitchen with island seating, and large walk-in pantry. 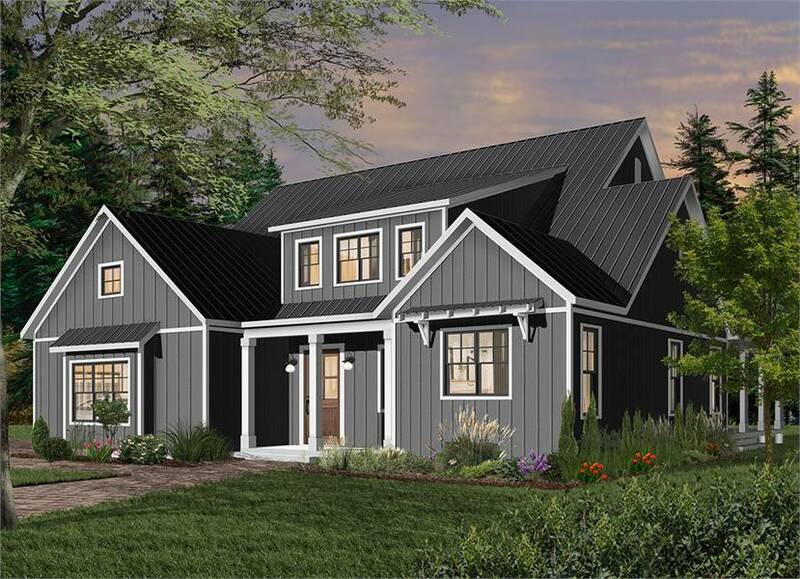 The small, builder friendly footprint easily allows for a side entry 3-garage. 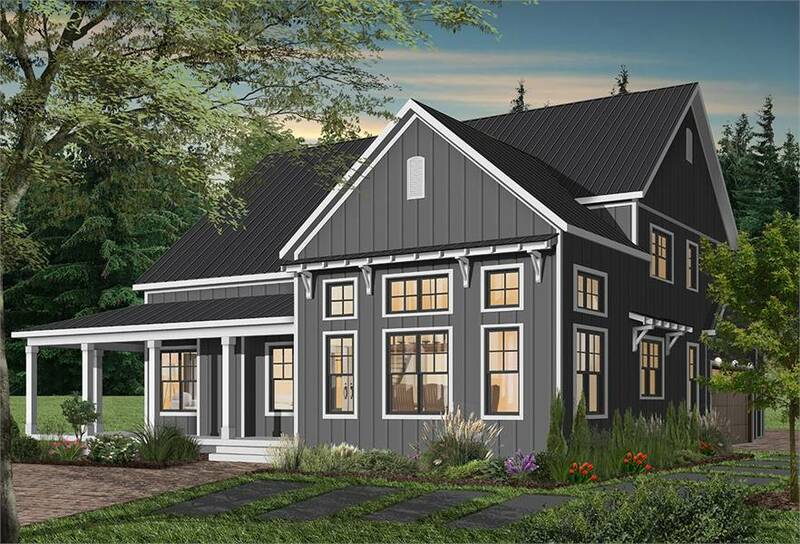 An 2-story open living room with lots of windows and fireplace features a large covered porch that wraps around to the master suite. 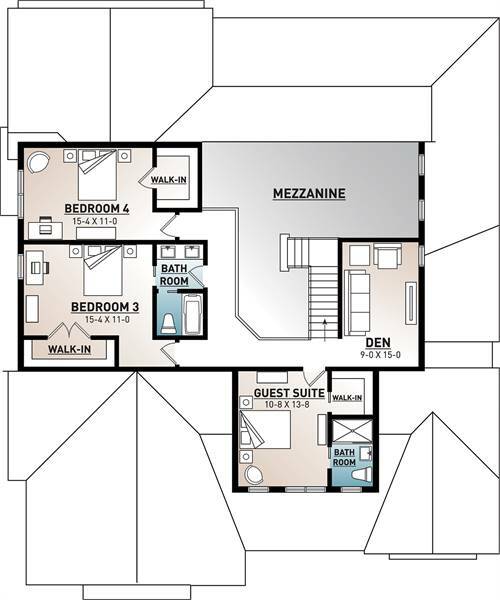 The mezzanine upstairs separates 2 bedrooms and a bath from a guest suite and cozy den.